The Lord has used Kelly and Kathy to establish several major ministries and many smaller ministries. As the ministries grew and multiplied, Kelly was looking for an umbrella ministry under which all the associated ministries could come. 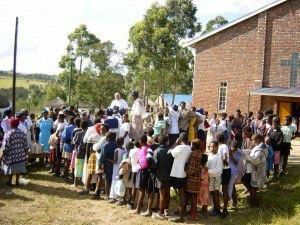 As a result of united prayer, African Christian Ministries (ACM) was established in 2009. Many independent ministries look to Kelly for guidance and oversight. They have a sincere desire to be directly related to Kelly, while maintaining their individual autonomy. To facilitate this relationship, ACM allows smaller independent ministries to come under this covering-ministry (ACM). ACM is registered in the Republic of South Africa under the Companies Act, No 71 of 2008, and as incorporated as a non-profit company (NPC). In addition, ACM is recognized as a non-profit organization by the South African Department of Revenue.